A modern take on a classic tin cup necklace! 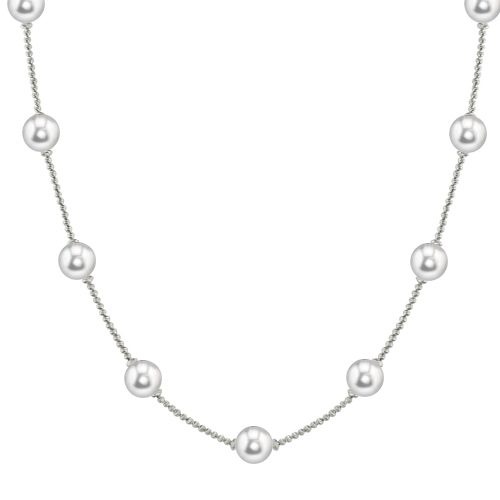 This modern classic is made with sterling silver diamond cut shimmer beads and features 8-8.5mm freshwater pearls! 18" in length.